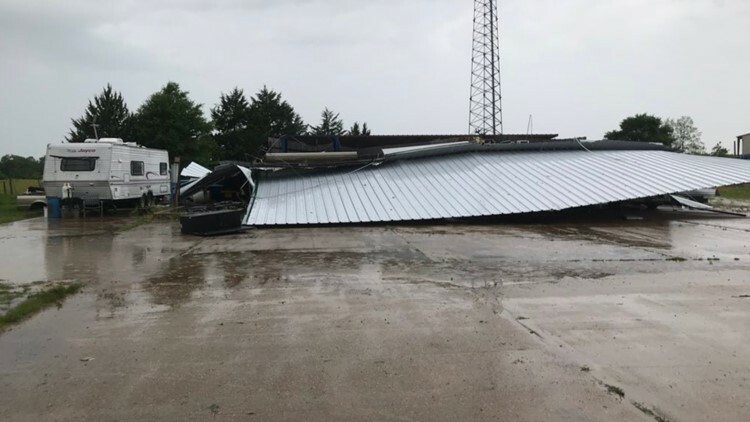 The Robertson County Sheriff's Office confirms a tornado touched down late Saturday morning, causing damage to property. 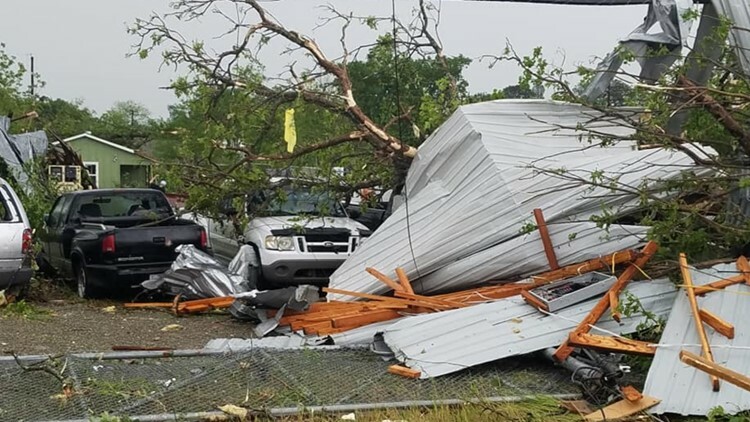 ROBERTSON COUNTY, Texas — The National Weather service issued a Severe Thunderstorm and Tornado Warning for Robertson County and Brazos County, as of Saturday morning at roughly 11:15amCST. A tornado was confirmed to have touched down in Robertson County and caused heavy damage. According to tweets from the weather service, there was a "likely" tornado moving northeast in Robertson County. As of 11:40amCST, the tornado was moving toward the Navasota River and Leon County. Residents of Marquez, in Leon County, were warned to immediately take shelter, as of 11:45pmCST. The Robertson County Sheriff confirmed damage to property and rotation over the area. Reports of damage have been severe, including loss of property. The Franklin Safari, an exotic animal park in Robertson County, is reported to be in disrepair, per a Go Fund Me page said to be raising money for the park. The page said fences are down and "the animals are in danger." A tornado warning has been issued for Brazos County, as well, as of 11:38amCST. We will update this page with more information as it becomes available. Live updates are also on your local KAGS channel and on Facebook Live.